1963 | What happened in…. 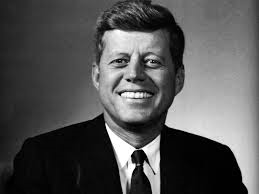 John Fitzgerald Kennedy, the 35th President of the United States, was assassinated at 12:30 p.m. Central Standard Time (18:30 UTC) on Friday, November 22, 1963, in Dealey Plaza, Dallas, Texas.Kennedy was fatally shot by a sniper while traveling with his wife Jacqueline, Texas Governor John Connally, and Connally’s wife Nellie, in a presidential motorcade. A ten-month investigation from November 1963 to September 1964 by the Warren Commission concluded that Kennedy was assassinated by Lee Harvey Oswald, acting alone, and that Jack Ruby also acted alone when he killed Oswald before he could stand trial.